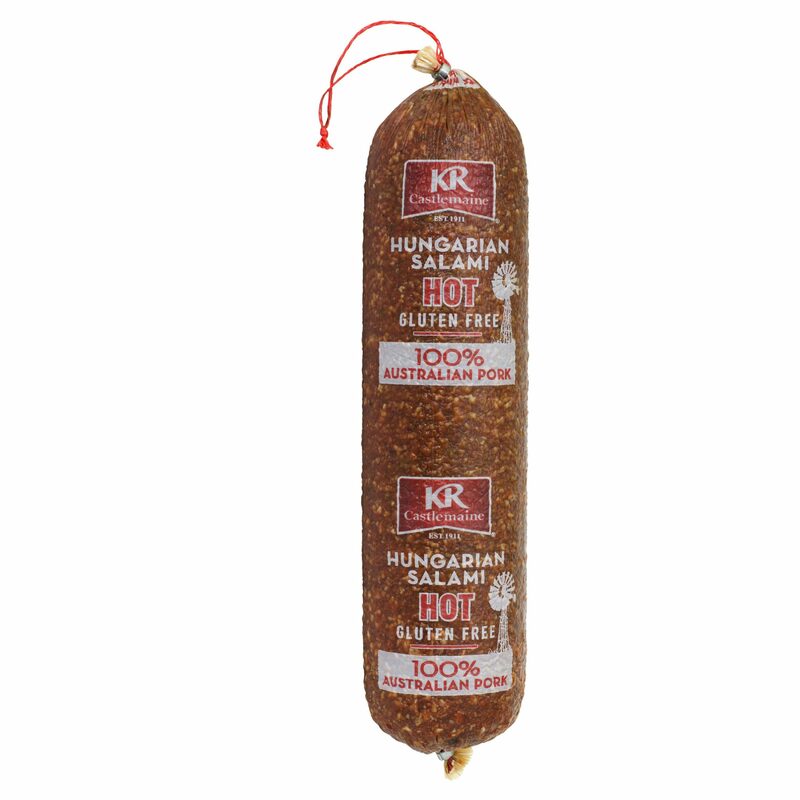 KR Castlemaine Hot Hungarian Salami is made with 100% Australian pork. It is fully fermented and matured with sustainable hardwood smoke for a full, authentic flavour. Our hot variety has real birdseye chilli, giving a warm, spicy finish. Meat Including Pork (90%), Salt, Potato Fibre, Sodium Caseinate (Milk),Chilli (1%), Spices And Spice Extract, Dextrose (Maize), Flavour, Sugar, Antioxidant (316), Fermented Rice, Sodium Nitrite (250), Sodium Nitrate (251), Dehydrated Vegetable, Starter Culture, Herb Extract. Smoked.